Having trouble finding your perfect design or flooring finish? With our custom flooring service, you'll work with us to design a unique flooring solution that is tailored to your meet your specifications. When it comes to choosing a flooring it can be very difficult to find something to match your unique decor. At S&G Carpets we offer a vast range of design floors which allow you to add your own twist to your chosen flooring type. With the availability for borders, feature strips, corner stones and patterns, the opportunities for personalisation are endless. One such flooring option for you is Amtico, a world renowned brand manufactured in England. Create, Express and Define your design vision with Amtico. Select any pattern from their extensive range of innovative finishes. Use products individually or mix together in endless combinations for a truly unique floor. To retain your floors stunning aesthetics, all Amtico floors have their world leading multi performance system. Their designers have created a layered construction, and individually, each of the layers can be considered the most advanced of their kind. 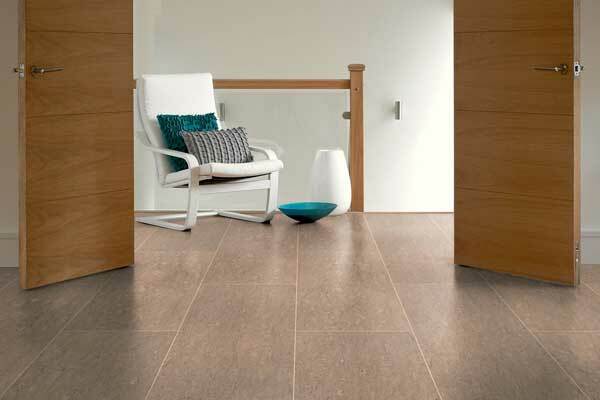 Together, they give the flooring a completely realistic look and unrivalled durability. Why Choose an Amtico Floor? Design talent, innovative manufacturing processes and precise craftsmanship are at the very heart of the Amtico brand. This high quality flooring is manufactured in England and represents the forefront of flooring excellence. Amtico have built a worldwide reputation as suppliers of modern flooring design. Visit the Amtico website for more information. S&G Carpets regularly provide Amtico flooring to domestic and commercial clients across Devon and North Cornwall, including Bideford, Barnstaple, Torrington, South Molton, Exeter and Bude. To view our range of Amtico flooring and discuss your options with a trained advisor, visit our showroom in Torrington, or alternatively arrange a home visit by either calling us on 01805 623112 or completing our online enquiry form. We'll come to you free of charge to measure up and provide estimates, we'll also bring samples with us for you to see how different colours will work alongside your decor and furniture.